What titles are you bringing? Let us know! Love to swap? So do we! 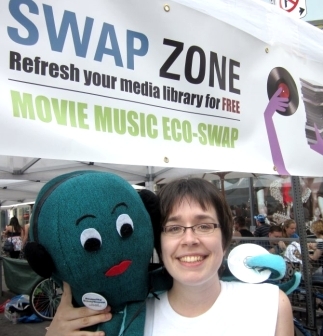 On the weekend of June 2–3, Swapsity is bringing its popular Eco-Swap to the Sage Fair, an event dedicated to helping Canadians work toward greener, happier and healthier lives. Eco-Swap visitors will enjoy the swapping experience amidst the buzz of this environmentally-friendly marketplace full of like-minded eco-enthusiasts, swappers and artisans. Refresh your books, movies and music libraries while taking it easy on the environment and your wallet. 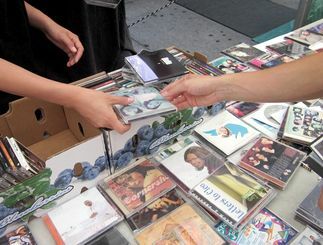 The Book Movie Music Eco-Swap is the perfect opportunity to go treasure hunting, recycle, de-clutter and get value out of your pre-loved stuff. Don’t forget to snap a photo with our beloved mascot, Swaptopus. She's cute and cuddly and a true swap enthusiast who never misses an Eco-Swap. You'll likely find her using her eight long arms to search for some groovy new CDs or flipping through books! Five Reasons Not To Miss This Swap! Recycle and Reuse: Be a friend to the environment and recycle your way to a new media library. Save: Update your collection without spending your hard-earned money. De-clutter: Free yourself of items you never use. Share: Enjoy seeing someone else take delight in what you no longer need, and otherwise might have tossed to the curb! Community Spirit: Be part of a phenomenal community eco-event. Join your fellow Torontonians in saving items from the landfills. Sage Fair Admission: $6 for all Swapsity members [admission discount code for Swapsity members is "IamHere2Swap! "], $10 for non-members. Free entry for all Swapsity Swap Zone volunteers. What to bring: books, DVDs, blu-rays, CDs and vinyl records to swap. You must bring at least 1 media item to participate. Spread the word by using the hashtag #BookSwapTO on Twitter. 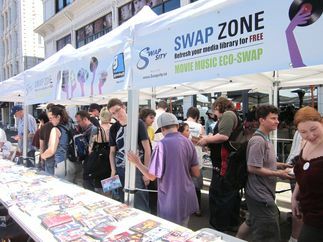 BRING: Take your pre-loved books, DVDs, CDs, vinyl records and Blu-rays to our Swap Zone. GET: Receive a swap token for every accepted item you bring. SWAP: Trade you swap tokens for new items from the Swap Zone. 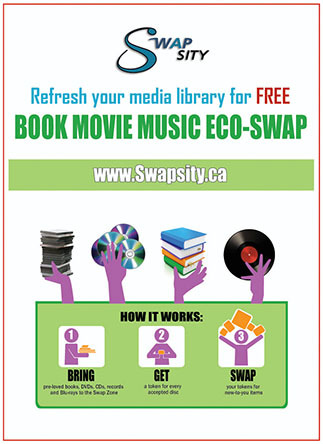 You can bring an unlimited number of books, DVDs, Blu-rays, CDs and vinyl records to the swap. To participate, you must contribute at least one book or media item. Participants are invited to bring movies and music of any genre. No X-rated or questionable media please. We reserve the right to not accept any items that we feel are unsuitable. We will have a section dedicated to kids' and family movies and music. When dropping off your items, please let us know if any of your items are family-friendly. Please bring original media only. Counterfeit or pirated media items will not be accepted. No textbooks, encyclopedias, dictionaries, magazines, or reader's digest. The items must be in good condition. Please do not bring any media items which skip or do not work. Books should not have loose pages or lack binding. We will be checking all items that are dropped off to ensure they are original and not scratched. 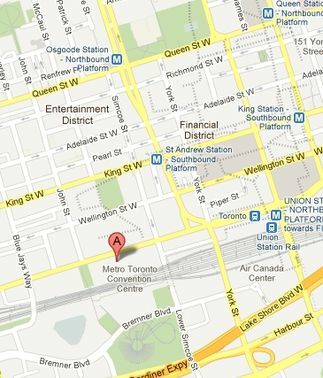 Remember, your items will be passed on to a fellow Torontonian! You will be able to take the same number of items that you bring. If you choose to take back fewer items, the extras will be donated. Keep in mind that all swaps are final. All media items will be considered equal value . For example, if you contribute 10 DVDs, you could swap it for four records, three CDs, one book, one Blu-ray and one DVD. We will be accepting books, movies and music in both English and French. Please refrain from bringing foreign language books and media to this swap event. Live Green Toronto Membership Card holders who participate in the swap will be able to receive one bonus media item, while supplies last. For example: card holders who drop off five items, will be able to pick up six items. You must present your membership card and bring at least 1 item to do this. There will be no money exchanged, and no purchase of swap items. Just pure swapping. You can redeem your tokens anytime between June 2-3 (during opening hours). If you have a token but don't find anything that you like when you arrive, you can come back to the Swap Zone later in the day to swap your token for new arrivals. Unused tokens are not valid at future Swapsity swap meets. You will receive 1 swap token for each disc you contribute. For example: if you bring the 6th Season of Smallville on 4 Blu-ray discs, you will be given 4 tokens to use toward other media items. If you bring a 2 DVD set of Planet Earth, you will be give 2 swap tokens. All media items must be stored in a case. Media items must be original, but the cases don't have to be. Join this two-day eco-swapping extravaganza and play your part in recycling thousands of items while refreshing your media collection. See you at the Swap Zone on June 2nd and 3rd!